MIT Medical PCPs: See Patient Billing or call 617-253-5336. For MIT Medical PCPs, see Patient Billing. For HMO Blue New England PCPs, call 1-800-882-1093. Benefits, claims, referrals through the MIT Traditional Plan Visit MIT Medical Claims and Member Services, email mservices@med.mit.edu, or call 617-253-5979. For MIT Medical PCPs, visit MIT Medical Claims and Member Services, email mservices@med.mit.edu or call 617-253-5979. For a list of MIT Medical providers, visit MIT Medical or call 617-253-5979. For further assistance, contact the Blue Cross Blue Shield Member Service Center at 1-800-882-1093. For callers in the U.S., Canada and Mexico: dial 855-464-8736 (855-4MITPEN) from 9am to 7pm EST. For overseas callers (outside of U.S., Canada or Mexico): dial 858-703-3281 from 9am to 7pm EST. Get information about your account at Fidelity NetBenefits. Life events (marriage, birth or adoption, spouse or partner job loss, etc.) Visit the Life Events website for the forms and information you'll need. General benefits, including all retiree benefits, on campus Visit the MIT Benefits website, fill out the contact form below, or call 617-253-6151 or toll-free at (855) 253-6151. General benefits, Lincoln Laboratory Email benefits@ll.mit.edu or call 781-981-7067. Flexible spending accounts (FSAs) Fill out the contact form below, or call 617-253-6151 or toll-free at (855) 253-6151. Be sure you have read the Careers FAQ before getting in touch regarding MIT employment, as we are unable to respond to inquiries that are covered there. If your question is not covered in the FAQ, contact us using the form below. For on-campus recruiting and student employment, please contact the MIT Careers Office. MIT employees and outside verifiers can request verification of employment and/or income by visiting this HR/Payroll site. If you are an active employee, make changes to your MIT address, home address, phone and e-mail address in the Personal Information page under About Me in Atlas. You may use the Name Change form for name changes only. Former employees may change their information here. Please contact the HR Payroll office at payroll@mit.edu or by calling (617) 253-4255. Access to Atlas and MIT ID questions are managed via the IS&T Service Desk. Please contact them for assistance. Contact the HR/Payroll Service Center: http://vpf.mit.edu/payroll, payroll@mit.edu or 617-253-4255. We're ready to help. Please choose from the list below so we can direct you to the information you need. 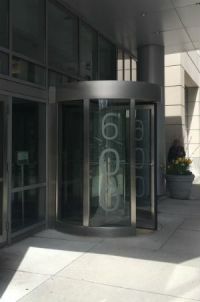 The MIT Human Resources Office is located on the 5th floor of Building NE49 (600 Technology Square) at the corner of Main and Portland streets. See location on a map. MIT Lincoln Laboratory is located in Building S2-170 at 244 Wood Street, Lexington, Massachusetts, which is approximately 14 miles northwest of Boston. See location on a map. See our staff directory and learn about our areas of service.